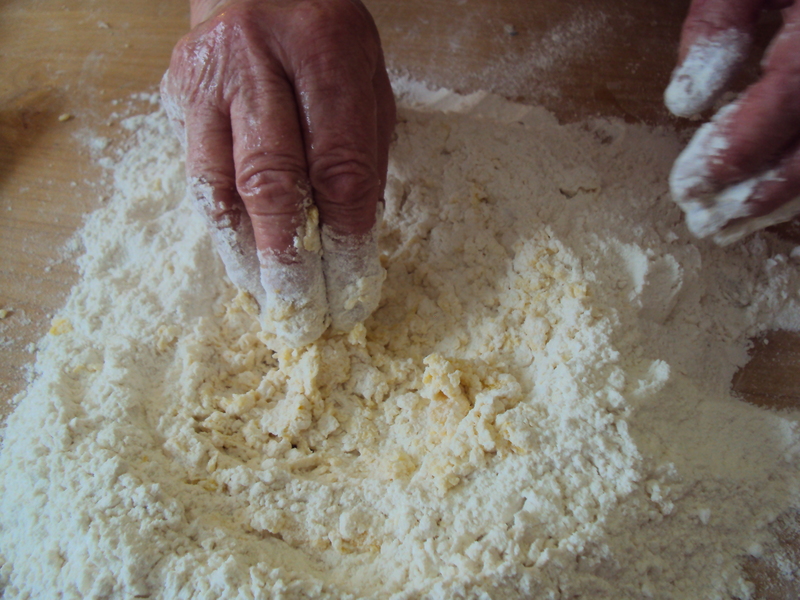 Eggs and flour make soft beautiful dough. 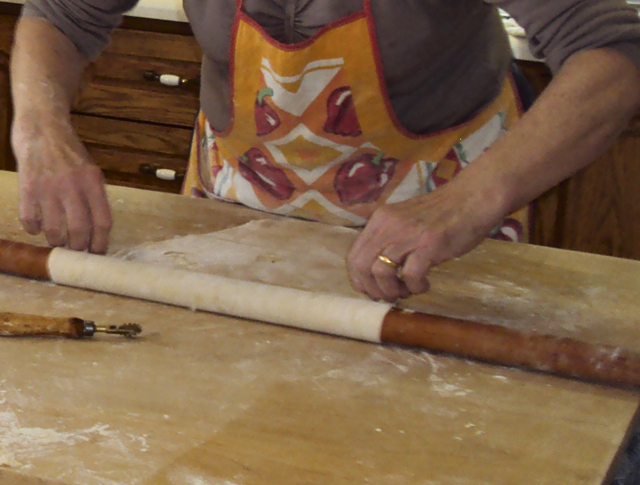 Rolling the dough is a delicate step. The fillings: one is Swiss Chard with garlic, butter and salt. 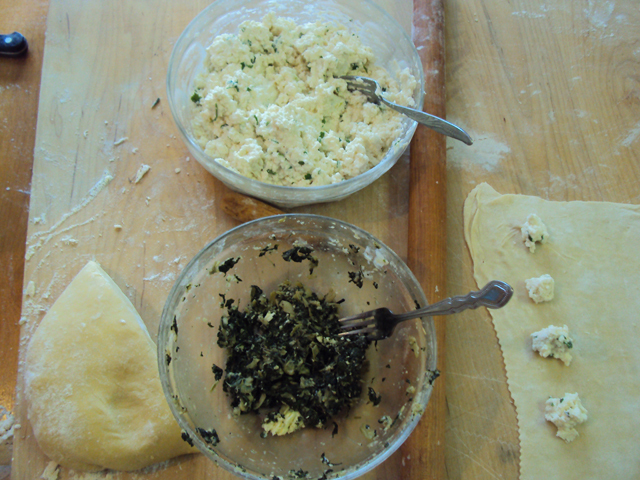 The other is ricotta, parmiggiano, butter, salt, and parsley. 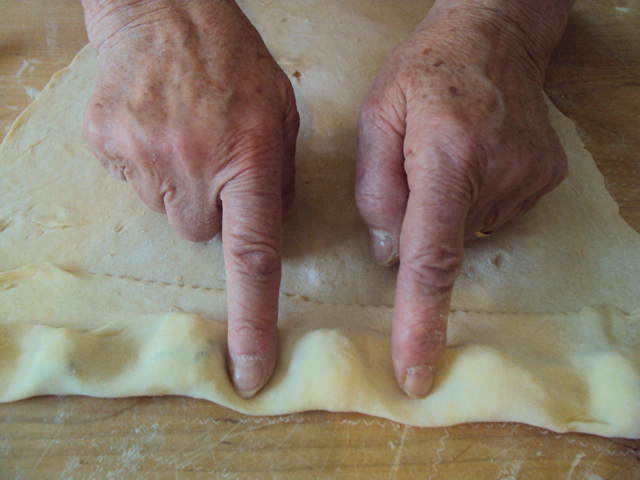 Fold the dough over and then give the ravioli their space. 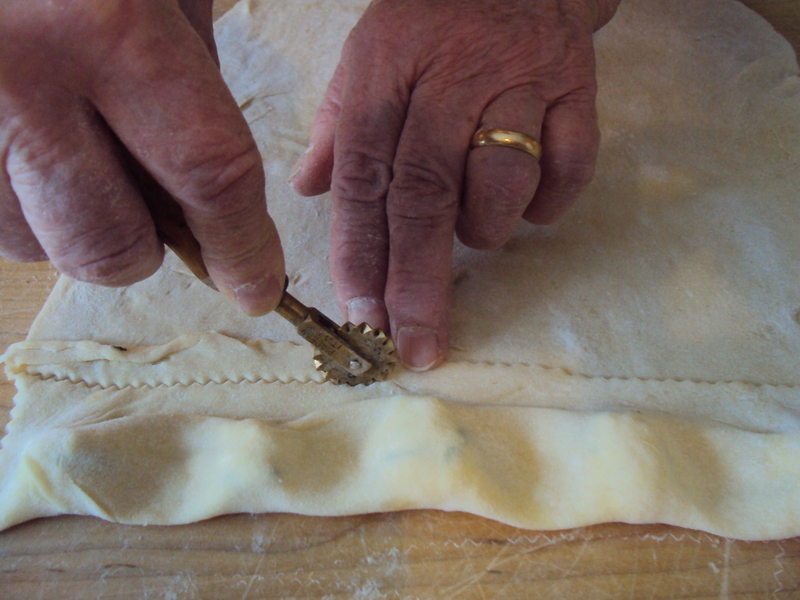 Cut out the ravioli first lengthwise then into squares.